The ‘Home Alone’ Christmas adventure. Everyone knows the classic movie ‘Home Alone 2’ - a little kid alone in the big city, stays in a luxury hotel at Christmas and gets up to trouble. Now image you in your own UK version of ‘Home Alone’. You can stay in a luxury boutique hotel in the heart of London at Christmas time, with Oxford Street giving you everything you could possibly want and need, allowing you pliantly of opportunities to get into trouble and have an adventure. 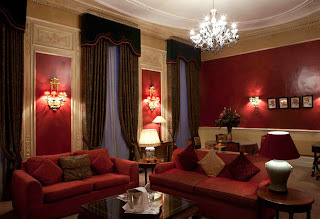 So recreate the Home Alone feel and book yourself into a luxury boutique hotel like The Leonard Hotel. You can wake up in a palace, have room service cater to your every need and desire. Let your inner big kid come out and play. Enjoy the marvellous food and dine like a king. Then once you step outside, round the corner you have the magic and wonders of Oxford Street at Christmas! Christmas on Oxford Street is always a huge spectacle, it starts off with a celebrity turning on the lights. The high street stores introduce their late shopping hours and then everywhere you look there is a special offer or sale. Jingle bells, snow, Christmas trees, presents, candy cane, mistletoe and everything Christmas is right round the from The Leonard Hotel, on Oxford Street. For the family there are plenty of Santa’s grottos to visit and toy stores to shop at. For the adults there are open all hour bars (mulled wine) and shopping sprees. Oxford Street offers a wealth of opportunities and experiences at Christmas and you will never be left with nothing to do. Once you are tired and all done, return to the boutique hotel that is The Leonard Hotel for a fine dining experience and accommodation that is one in a million. The Leonard Hotel is ideally situated less than 5 min away from Oxford Street you will not have far to walk to a comfortable and warm bed. Make your Christmas shopping experience one to remember, make it a unique and special event. 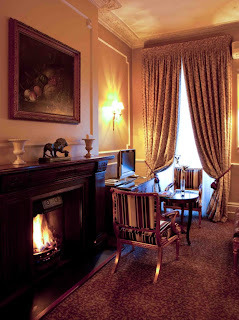 For more information on rooms available at The Leonard Hotel and further information on Christmas bookings contact us. A boutique hotel is so much more than just a bed. When you stay at a boutique hotel, it not just a good bed and a big room you want, it’s all about the detail. The small things that help make your stay special. The little chocolate on your pillow, the small toiletry cases in the bathroom and the little notes by the telephone. Here at the Leonard Hotel we have a fabulous restaurant, Seymour’s. The first class restaurant offers the best dining experience, quality food prepared and made fresh for you on the day. The restaurant offers a wide range of food and will cater to your dietary requirements. You will be seated in a beautiful atmosphere amongst beautiful artwork and surrounding that would make the dining experience that bit more special. The food is exquisitely presented and will not disappoint your taste buds. The staff at The Leonard Hotel are there to ensure your stay at the boutique hotel is everything you expected and more. If you prefer to have your meal in your room simply call reception and they can take your order and ensure you still have everything you require. If you need transport to take you to the theatre, call reception and transport can be arranged. Whatever it is you require - from extra towels and a taxi to a pair of tights and nappies, out friendly staff are here to help and will always try to go above and beyond your expectations. Many hotels try and give you everything, but miss the most important thing - the atmosphere. You could stay in a palace, but if it feels cold and unwelcoming, you won’t stay where again. Everyone knows that a good quality boutique hotel will have a warm, inviting and friendly atmosphere. The Leonard Hotel makes the extra effort to ensure your stay is somewhere you don’t feel cautious but comfortable, somewhere you won’t stress but instead you relax, a place that has that feeling of “Wow! That was perfect”. For more information on what our boutique hotel has to offer contact us now. After a long day visiting London’s finest tourist attractions, The Leonard offers the perfect place for the whole family to relax and replenish. This unique and simply stunning boutique hotel near Marble Arch offers fantastic family accommodation with a choice of family rooms and suites. When holidaying as a family in London, space can often be limited in hotels, with many children being forced to sleep on sofa/pull out beds which is far from ideal after seemingly endless hours on your feet. This needn’t be a worry when booking a stay at the Leonard, with two bedroom suites offering the perfect getaway. With spacious living space, two bathrooms and fully equipped kitchen, you’re sure to have everything you need at the end of the day. Found within the centre of London, guests of The Leonard can enjoy everything central London has to offer and is a great place to bring the family for a fun, exciting and educational break. Being a hotel near Marble Arch; we’re sure both sightseeing and shopping are high on the agenda. Why not grab an ice-cream just around the corner at the beautiful old ceremonial entrance to the northeast corner of Hyde Park at Cumberland Gate known as the Marble Arch? This stunning piece of architecture originally sat in the courtyard in Buckingham Palace with only the royal family and the Kings Troop Royal Horse Artillery being allowed to pass through. Afterwards why not enjoy a stroll through Hyde Park, pausing to watch fellow holidaymakers and Londoners enjoying the sunshine on a pedal boat on the Serpentine? There’s so much to see, learn and do, the hardest part of your holiday will be deciding what to do first! When looking for that all important hotel near Marble Arch, make sure The Leonard is top of your list. 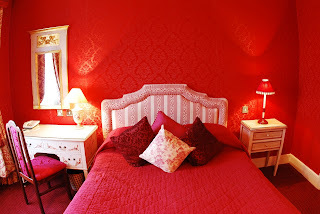 With beautifully decorated single rooms, classic double rooms, deluxe double/twin rooms, one and two bedroom suites, we have the accommodation to suit your needs. For more information about The Leonard, visit our website or contact our friendly team who will be more than happy to assist. Spending several days visiting the sights around London can be extremely tiring. Typically, people plan to visit the shopping nirvana that is Oxford Street, Big Ben and the London eye to name but a few however visitors do not realise how much happens at Hyde Park therefore at The Leonard, a hotel near Hyde Park, we recommend that you budget some time to explore this beautiful park and everything that it has to offer. Hyde Park is one of the largest parks in Central London and was opened to the public back in 1637. Prior to this, King Henry VIII confiscated the park from the monks of Westminster Abbey to use the park for hunting. Now, Hyde Park is home to various forms of entertainment, including hosting some of the World’s biggest music acts. This summer the park will be graced by the likes of Jennifer Lopez, The Saturdays and JLS. If your children and/or teenagers are big pop fans then looking for family accommodation near Hyde Park can seem like a mammoth task. At The Leonard, we offer luxury accommodation for the whole family. As well as offering top music acts, Hyde Park also hosts various family fun evenings so make sure you plan time in your schedule to take part. As well as hosting current artists, music legends like The Rolling Stones, Elton John and Lionel Richie will also be playing at Hyde Park this year so make sure you search for hotels near Hyde Park and book early to avoid lengthy travel times and stressful commuting. There are also lots of other activities on offer in the park that the whole family can enjoy, including leisure activities ranging from roller blading and Frisbee to swimming in The Serpentine and horse riding. If you are wanting to include a different element to your city visit then be sure to visit Hyde Park. For more information about the different accommodation available at The Leonard, visit our website or contact our friendly team who will be more than happy to assist. So you are traveling to London to bask in the city’s offerings. 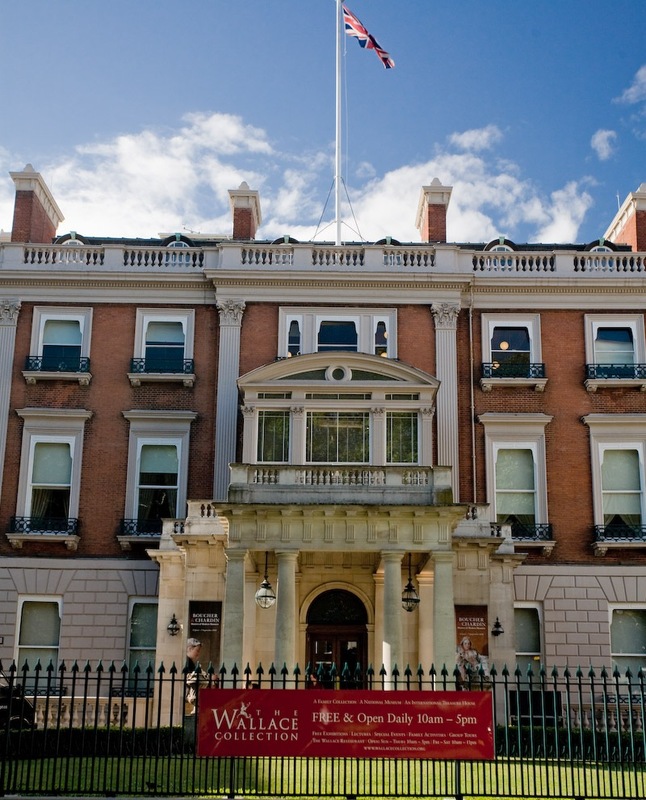 If you are someone who likes to indulge in the fine arts and you appreciate the history and culture that art can bring, then perhaps one of your key destinations is The Wallace Collection in Central London. For those unfamiliar with the collection, it is a national museum based in London’s Hertford House, Manchester Square that attracts visitors from around the globe. 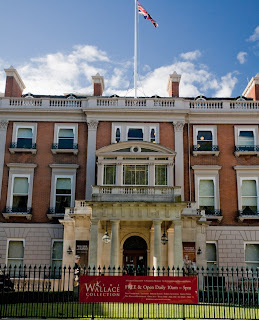 If you are travelling from afar to this fine collection of historical artefacts and works you will want to stay in a hotel near the Wallace Collection. Here at The Leonard, we are based in a prime location for those visiting the museum as well as other popular attractions in London. The Leonard is no more than a 10 minute walk away from the national museum whilst also being a stone’s throw away from other popular destinations in London, such as Marble Arch, Hyde Park and Oxford Street. This means that our beautiful boutique hotel London is ideally situated for all your travel needs. Why not spend the morning visiting the unsurpassed displays at The Wallace Collection whilst then partaking in some sightseeing and retail therapy in the afternoon. In the evening, take in the spectacular views during a stroll around London’s famous Hyde Park and end your day relaxing in the hotel’s restaurant and bar. It is no secret that travelling around London can be a stressful experience therefore we strongly recommend looking for accommodation with a fantastic location. Hotels near Oxford Street make a great base for exploring this beautiful city, whether you are wanting to visit the shopping nirvana of Oxford Street or immerse yourself in the Wallace Collection. 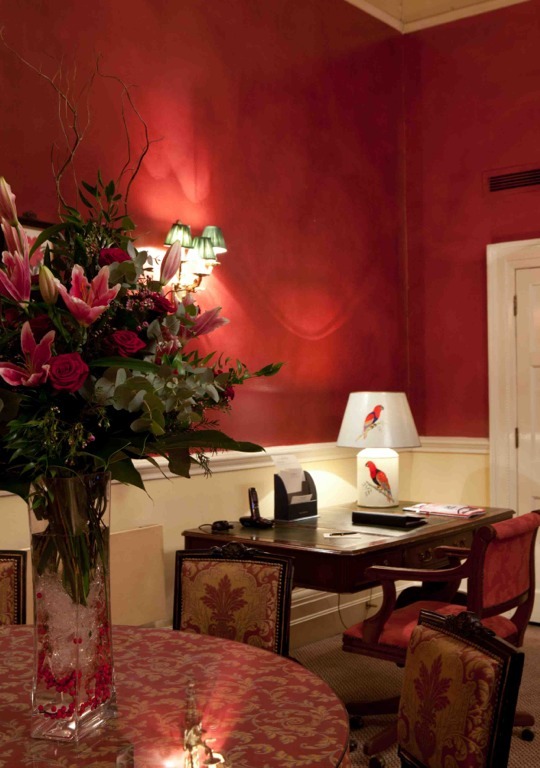 For more information on our beautiful boutique hotel London, visit our website or contact our helpful team today. For the most convenient location, many families opt for hotels near Oxford Street. Set right in the centre of London and within easy reach of several major attractions, the area around the West End is perfect for family groups. Staying in a central location obviates the need to make long trips on the Tube or other public transport. You will also be within easy reach of the mainline stations of Paddington, Victoria and Euston, meaning if you're travelling to London by train you won't face a long onward journey to your hotel. An ideal location for family accommodation London's West End is full of attractions for all ages. Whether your family enjoys shopping, sightseeing, culture, history or fine dining, staying in the heart of London provides ample opportunity for all these things. Nearby Edgware Road is a great place to explore the capital's multi-cultural heritage, with its range of independent shops and cafes selling cuisine from all over the world. Hyde Park is conveniently close, too, offering a great break from city life. If the weather is fine, a picnic in this beautiful park is a wonderful way in which to relax and get back to nature. 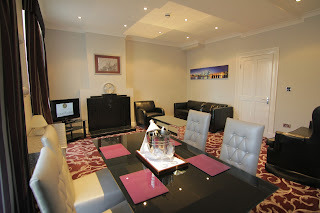 When looking for family accommodation London may seem overwhelming. This is a huge city and it can be difficult to know where is best to stay. If you opt for central London you will find you spend less time and money travelling to and from major attractions and more time enjoying yourself. Many major attractions, such as the National Portrait Gallery, Nelson's Column, the Shaftesbury Avenue theatres and the bright lights of Leicester Square and Piccadilly Circus are within walking distance of the Oxford Street area. Some of the capital's finest shopping streets are also within easy reach. From the high street mecca of Oxford Street itself, to the luxury retailers of Bond Street and Regent Street, there are plenty of shops from which to choose. Nearby Carnaby Street, famous for its Swinging Sixties heritage, offers a break from the high street, with independent and niche retailers. England's capital is a great city to visit for all ages and the wealth of family accommodation London has to offer means you will never have any trouble finding a comfortable, centrally located hotel. For those who crave the great outdoors, but also enjoy a cosmopolitan break, hotels near Hyde Park offer the ideal solution. Not only are you located right in the middle of the action with the busy shops of Oxford Street to the east and Kensington to the south, but you are also close to one of the most beautiful Royal Parks in London. Hyde Park, at 350 acres, is a peaceful haven, a breath of fresh air from London's busy streets. But it's not only tranquillity and calm, there plenty of activities to exhaust the children! The sparkling waters of the Serpentine Lake in Hyde Park have to be one of London's most iconic sights. From May to September the lido and accompanying paddling pool are open to children and adults alike, allowing visitors to experience swimming out in open water. Rowing and pedal boats are also popular and can be pre-booked on busy days. Staff at hotels near Hyde Park can assist with this. The Diana Princess of Wales Memorial Playground is teaming during the summer months. It boasts tepees, sensory trails, a beach around a pirate ship and plenty of space to run around in. Privately cordoned off, visitors must be accompanied by a child in order to gain entry and there is also an enticing café at the entrance, providing essential fuel for a lively day. The park also plays host to a series of family friendly events. These include concerts, plays, fireworks, royal displays and cold, open water swimming, not to mention the famous Winter Wonderland. Concierge staff at hotels near Hyde Park can provide details on the activities that are running at any given time. Close to the park you will find further family days out including the Science Museum, the Natural History Museum and Madam Tussauds. But central London is not only family friendly, it is also a business hub with many hotels also offering business meeting rooms London-specific and local services and much more. If you would rather avoid all things work and are looking for family accommodation London has a great deal to offer. Hotels near Hyde Park thus cater to both business and personal requirements. Why not explore our website or contact our helpful team if you would like to know more about family days out near Hyde Park. London has long been known across the world for its unique and exclusive shops. The Capital's premier retail outlets offer such variety that there is something to attract every taste. The following are just some of the shops in close proximity if you choose one of the hotels near Oxford Street as your base. Selfridges is London's second largest department store and was opened by Harry Gordon Selfridge in 1909. One of the first shops to put merchandise on display for customers, Selfridge aimed to make the shopping experience enjoyable; an outing for all the family. In fact, the first time television was displayed to the British public was on the first floor of Selfridges in April 1925. And this ethos of integrating education and consumerism continues right up to the present day with fabulous window displays and a huge variety of items, both designer and high street, on offer. If you are after luxury goods, Liberty is one of London's oldest and most prestigious stores. Stocking designer goods, ornaments, fabrics and art since 1875, Liberty is located on Regent Street but hotels near Oxford Street will give you easy access to the mock Tudor building. The striking frontage was built from the timber of two ships in 1924 and even the interior is testament to the 1920's fashion for Tudor revival. Just wandering around the building can be a fascinating experience for architecture buffs. John Lewis is a British icon amongst those who care about high quality yet affordable goods. With department stores throughout Great Britain, the Oxford Street outlet is the group's flagship outlet, showcasing an exciting array of haberdashery and household goods. Hotels near Oxford Street are ideally positioned for a visit to Harrods. This up-market emporium is Europe's largest department store, occupying a 5-acre site with over a million square feet of selling space and 330 departments. For professionals dashing out for a light lunch after a session in business meeting rooms London's leading department store offers an appetising selection of lunch venues. Similarly, for weekend visitors staying in family accommodation London's Harrods store has something for everyone to explore, including clothes, toys, food, beauty items, pets, jewellery and electronics. If you would like to know more about visiting some of London's most famous shops, why not get in touch with our team who will be more than happy to help. 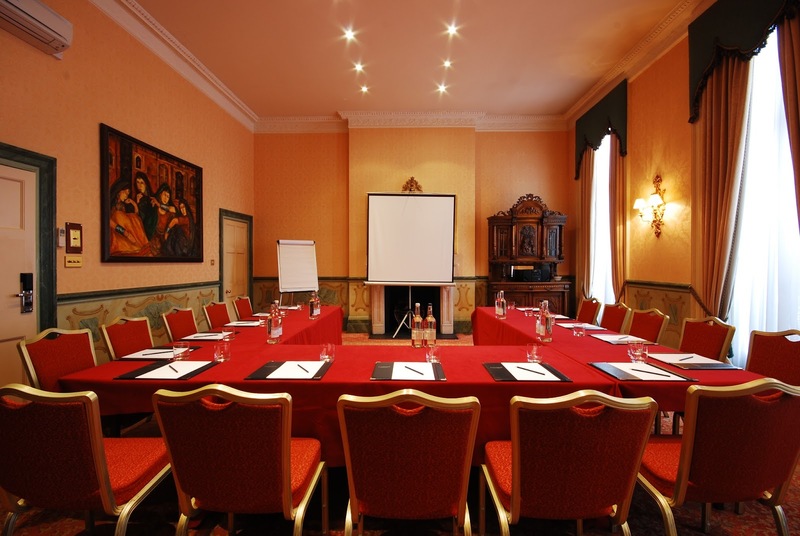 For business meeting rooms London has long been a preferred location although there has been a tendency to take the default option of impersonal chain hotels. With an ever changing market place and competitive playing field, smaller hotels are now taking on these larger players. One of the many ways in which hotel owners do this is by offering businesses a bespoke service. Hotels, especially exclusive, boutique hotels, have character on their side. They comfortably host clients from every conceivable background including romantic couples seeking solitude and peace and corporate clients looking for a functional yet impressive space. For those seeking family accommodation London will also provide some superb options. However, is it possible for a single hotel to cater to such diverse needs? Larger hotel chains tend to do so by wiping the slate clean and going for a minimal, clean and practical look. But this offers no personality. The chances are that any event hosted at the hotel will not be memorable or impressive. For anyone seeking business meeting rooms London hotels with a boutique cachet can deliver the requisite accommodation but with a twist. By developing a micro-branding campaign, a smaller hotel can create meeting facilities that are centred on providing benefits rather than merely services. Many meetings are held in order to collaborate and develop new ideas. Low tables together with access to snacks and drinks in open fridges can help to engender an atmosphere of free speech. Another option in the context of business meeting rooms London hotels can provide is a monthly or even annual membership opportunity which is available to clients. This could include a certain level of food and drink as well as access to A/V equipment and the ability to tailor the room to some degree. Certain areas of London are likely to attract specific types of client. Hotels near Hyde Park, for example, may attract a cosmopolitan bunch, whilst hotels in the East End or north of the City may prefer a more creative space. By understanding the needs of the clients, boutique hotels can offer more than just an L shaped table and filter coffee: they can attract clients again and again by creating a memorable space, perfectly adapted for its function. To learn more about how we have created a memorable experience for our business clients, please contact our friendly team who will be more than happy to help. Springtime in London is an ideal time to visit for that shopping spree, gallery visit, sightseeing trip or theatre treat. The weather is starting to warm up, flowers are making themselves seen and the sun is hopefully making an appearance. If you are visiting London for a little retail therapy you may wish to consider any of the hotels near Oxford Street. From here you will be close to all the action and perhaps even become that early bird, ready to grab the best bargains in the spring sales. Of course, it may be that you're bringing the children to town for a treat to Madame Tussaud's, the Planetarium or even one of the shows currently wowing the crowds in the West End. There's so much going on that you may have trouble deciding where to start. Getting around London is always easy via the tube or bus. Staff at any of the hotels near Oxford Street will be happy to help you by calling a taxi or advising about bus routes. Combining a work trip with leisure may also prove attractive since when it comes to booking business meeting rooms London is the place to be. One of the most popular ways in which to explore the city is by any one of the bus tours currently operating. These open-top buses offer some of the best views of London and cover all the main sights. It is amazing the otherwise invisible things which can be observed from the top deck. You can jump on and off anywhere along the route enabling you to visit places of interest should you wish to do so. Most services include a guide who provides a running commentary and is there to answer any questions. An audio guide is also on offer for anyone for whom English is not their first language. Don't forget London's famous museums, any of which are worthy of a day in their own right. Another unforgettable attraction is Westminster Abbey with its history of Royal Coronations. To ensure you get the most out of your trip to London, why not explore our site for helpful information on booking hotels near Oxford Street, together with hints and tips on visits. Alternatively, please contact our team who will be only too happy to ensure that your stay is a memorable one. 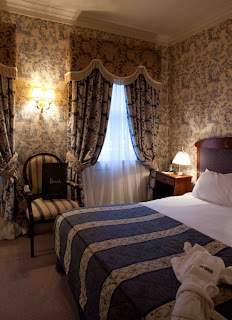 The Deluxe Apartments are individually decorated with exquisite fabrics and ornate furniture. This fabulous newly refurbished three bedrooms apartment, is literally two minutes walk from Edgware Road, Oxford Street and Hyde Park. The apartment holds cable colour TV, broadband connection, bathrobes, hairdryer, slippers, in room safe, iron and ironing board and direct dial telephone. Whilst staying at our wonderful apartments you’ll also benefit from the full wealth of the Hotel’s services. Please note that the apartment building does not have an elevator however we have 24h porter who is happy to help with the luggage. We believe one second inside these apartments will lead to you never wanting to leave. If you are considering staying in a boutique hotel London has a good range in close proximity to the major shopping centres, including hotels near Oxford Street itself. 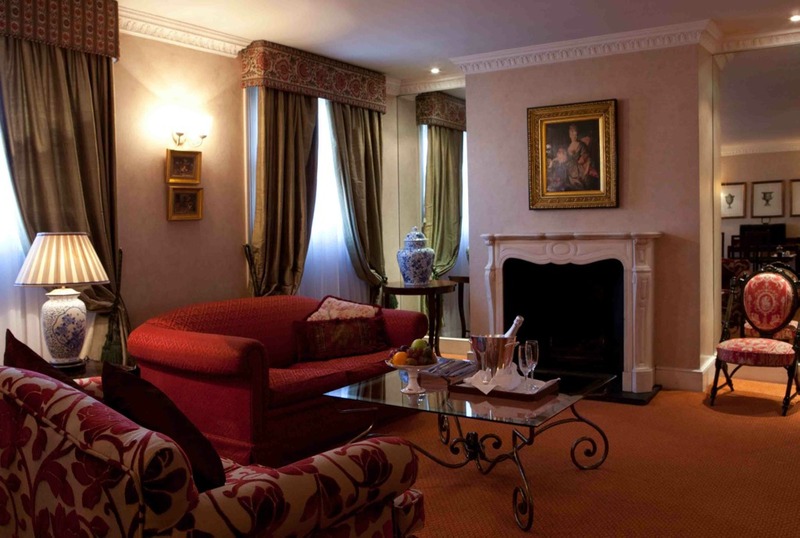 You will also find plenty of hotels near Hyde Park, a perfect base from which to hit the shops. From your boutique hotel you can access all the major shopping areas and staff there will be able to point you in the direction of anything specific that you may require. For anyone staying at a boutique hotel London is thus the ideal location in which to combine long days in the shops with some relaxing down time, perfect after a hectic Christmas. Oxford Street and Regent Street offer a myriad of shops with everything from clothing stores to jewellery havens. You will find technical giants such as Apple and the world famous toy store Hamleys. This is the perfect place in which to spend a younger visitor's pocket money. Don't miss the world famous Selfridges department store, which offers just about everything imaginable under one roof. Further to the south west, Knightsbridge offers a delightful high end shopping experience with boutiques and independent retailers, guaranteeing some unique purchases. This area is of course well known for Harvey Nicholls and Harrods. Harrods has a globally renowned January sale, which attracts large crowds as well as large discounts. Combining a browse with a glass of champagne in one of the bars or a bite to eat certainly helps to get in the spirit. London is an exciting, sprawling shopper's delight and you can find just about anything to suit your tastes and budget. The Westfield shopping centre is a mall near the Olympic site, with the major high street brands represented. If you prefer something a little more original or quirky, you may want to visit Camden or Portobello for the markets. Mayfair is the favoured area to visit for beautiful suits and business wear. The tailors on Saville Row will be able to help with an individual handmade design, perfect for the business executive or for those who are perhaps getting married or attending a special event in the New Year. When choosing a boutique hotel London may thus represent just the place in which to rest after a hard day flexing the plastic. For more information or to book your boutique hotel stay, please contact our team for further information, rates and availability. As hotels near Hyde Park go, the Leonard Hotel is definitely one of the more intimate feeling; with only 48 luxurious rooms, there certainly is more of a personal touch than some of the larger, centrally located establishments and this boutique hotel London base, although small, has plenty of choice to keep everyone happy; with rooms ranging from standard doubles to exquisite extra-large suites suitable for ranging tastes, needs and budgets. One often has to dig around for quality hotels near Hyde Park - for such a good location, you often have to compromise on your other needs - but here at the Leonard, quality comes as standard. We pride ourselves on our ability to cater for everyone - be it a single on a business trip, couples, groups or families, we are sure we can accommodate your needs. We are also host to ‘Seymour’s’ restaurant that lovingly prepares British meals and provides a 24 hour room service for those whose schedule requires it. We are just 2mins from a central tube station in one direction, 2mins from Oxford Street in the other. And being one of the most popular hotels near hyde park, the Leonard is just 2mins walk away from the world renowned gardens where rollerblading, jogging and even horse riding are commonplace - in the heart of the frantic, buzzing city Hyde Park, at over 350 acres, is a not-so-small but cherished oasis. As we say, hotels near Hyde Park that tick all the right boxes are hard to come by, if you are looking for a classic, traditional and superbly decorated hotel that provides a range luxury rooms and suites and on top of all this is also competitively priced the choice is clear. If you are planning a trip to London, make the first place you look at the Leonard hotel - as well as its incredible location it boasts impeccable service from the knowledgeable concierge to the friendly reception and increasingly popular chauffeur service. As winter draws in, the festive spirit is bubbling up inside of all of us and it will soon be time to start preparations for this merry time of year. One great way to get more enjoyment out of what can be a very panicked and stressful few months is to plan ahead and be prepared – by organising a trip, you can make an enjoyable event out of it - either time to take yourself for some truly dedicated shopping/alone time or invite the girls and make a group escapade out of it. 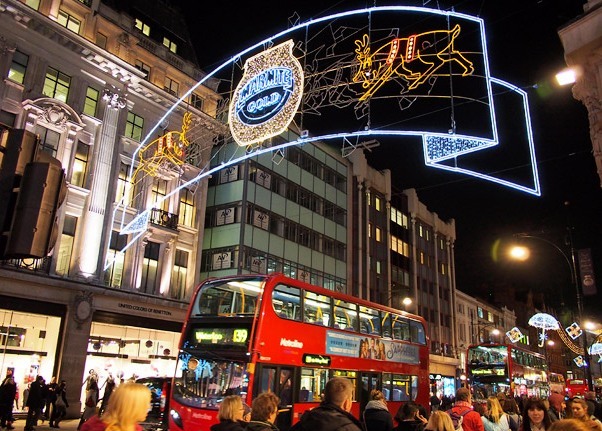 Whichever way you think about it, a shopping weekend is a fantastic way to get prepared and into the Christmas spirit and what better destination than our energetic and vivacious capital in which case you will need to look at hotels near Oxford Street. Although gift giving is a beautiful thing, the pressures of Christmas can mount up and become too much, this year break the habit of leaving things to the last minute, plan ahead and enjoy the experience more. Allowing yourself to let your hair down with friends will make you feel on top form when the time comes for basting the turkey. Oxford Street is the central destination for all shoppers, a perfect place to load up on stocking fillers and see the lights. 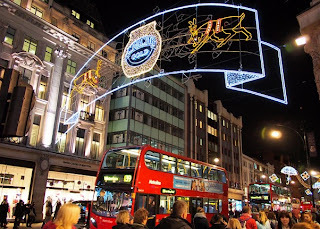 There are a large choice of hotels near Oxford Street but be sure to do your research - although location is massively important (and you should aim to be no more than a stone's throw from the main area if you are to fit in the maximum amount of retail therapy in one day), do not forget about the quality of your accommodation. A boutique hotel like The Leonard is a great option with an intimate feel that can guarantee maximum local knowledge and advice to help with your bargain hunting and set you on your way for a most productive stay. You may find other hotels near Oxford Street not to the same standard as the Leonard, and it is important to make the most of your stay in London and enjoy a luxurious and comfortable hotel after such a tiring day pounding the pavement spending your hard earned cash. 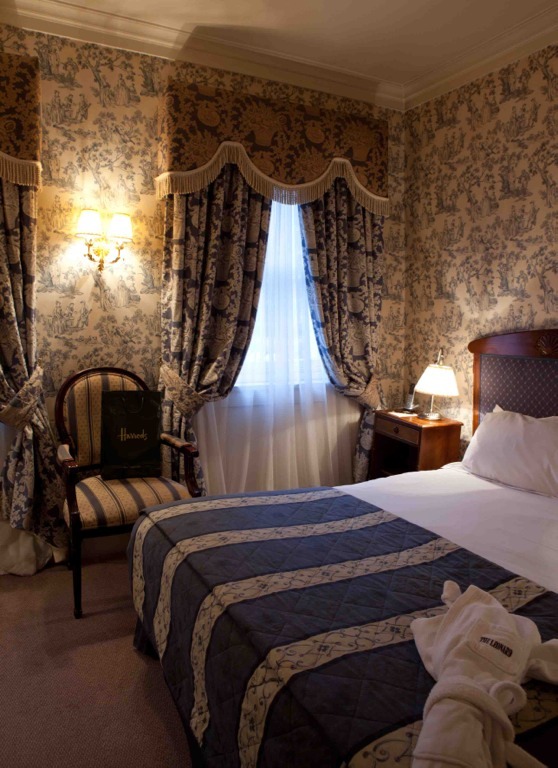 The Leonard is a beautiful boutique and perfectly located hotel which, unlike other such hotels near Oxford Street, offers a high level of service and a range of beautifully decorated rooms suited for families, couples, individuals and groups. The great place to base yourself for a pre-Christmas weekend in the city, with the West End just a few tube stops away and top attractions like Marble Arch and the London Eye right round the corner. Looking for Hotels near Hyde Park ready for the winter wonderland? If you’re looking for hotels near Hyde Park, then look no further than the Leonard Hotel. This boutique hotel London is the perfect base for all the attractions of the capital such as Madame Tussauds and other city centre attractions. Where the location really shines however, is when you consider the proximity to Hyde Park. This year’s Hyde Park Winter Wonderland event runs from the 23rd November to the 1st January 2013 and features attractions such as ice skating and a Christmas market. The event is a perfect tourist destination this winter and it has activities suitable for all members of family, both young and old. There are numerous rides to choose from including roller coasters, carousels and even thrill rides. Unlike a number of hotels near Hyde Park we offer a range of services such as a first class restaurant, family room and luxurious interior design. Considering the Dickensian nature of the Winter Wonderland event, our Victorian elegance is the perfect place to recuperate after a day packed full of seasonal shopping and activities. While the event in Hyde Park runs until 10pm each night, you may opt to restrict your visit to the day time and head out to the theatre in the evening. If this is appealing to you, then why not take advantage of our dedicated theatre desk, which is designed to take the hassle of the booking process and we can then arrange transport to take you to the venue in style. Hotels near Hyde Park such as the boutique style Leonard Hotel are a fantastic pied-à-terre in the vibrant city of London. Our Hotel is located conveniently close to the Marble Arch Underground station which is on the central line. This line provides very easy access to great attractions, such as the Wallace Collection at Hertford house or the vibrant Soho district (which has many fantastic restaurants and bars to enjoy). So if you are looking for hotels near Hyde Park in winter 2012, whether or not you are planning to visit the parks Winter Wonderland, then why not treat yourself and your family to a stay at the Leonard Hotel. The latest thing in hospitality seems to be the boutique hotels popping up in London and all over the country. There is no shame in admitting that you’re not 100% sure what the real meaning of the term 'boutique' in this context is, or why in fact this term is used in connection with certain hotels and not others and of course the main question is: what are the benefits of staying in these types of hotels? London is filled with huge and anonymous hotels so one major benefit from these so called ‘boutique’ hotels is that they are smaller - the idea being that a higher level of service is provided with the fewer rooms they have. As per the enthusiasts of this business, a hotel with no more than 100 rooms can proudly be called a boutique hotel. It undoubtedly adds a sense of luxury and indulgence to a stay when there is the space to provide a more personal experience. Boutique hotels often have a unique theme – this can be outlandish and general to the whole hotel (for example, a specific time period, bold colour scheme or motif) or added in more modest touches (with original artwork, designer toiletries or natural materials). Another key characteristic is the intimacy of the hotel and how this atmosphere is achieved. To qualify as a boutique hotel, particularly in London where there is such competition, the décor needs to be of a very high quality – whether contemporary or elegantly classic, there needs to be an attention to detail and unquestionable authenticity. The ambience should be spot on - an oasis in the heart of London – and, as previously mentioned, it needs to offer a level of personal service that is virtually unachievable in large chain hotels. Essentially, this comes from the staff themselves who, through a pro-active attitude, can elevate the experience of all patrons - when staying in a boutique London hotel, guests will expect the service to be faultless as a given but the expectation is also that the staff should know, in advance, their requirements as opposed to merely responding to them when asked. And, although it is true that to feel like a boutique hotel the service should be more personal, it is imperative when operating in major cities and or business districts that everything is still handled professionally. In terms of familiarity it is important to know the line.